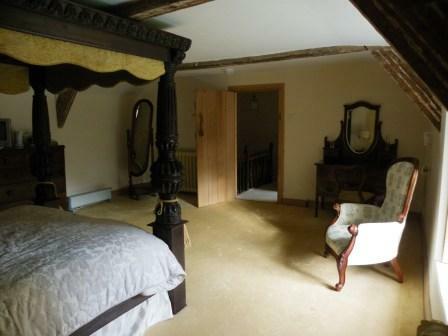 The 16th century Brecon Beacons self catering farmhouse in Wales comprises a Luxury 4 Poster Master Bedroom with additional first floor double room and ground floor double/family room (sleeps 6 adults). 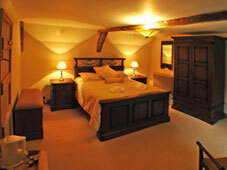 There is an attached annexe (not tourist board graded) which sleeps 2 further guests (farm sleeps 8 with annexe added). 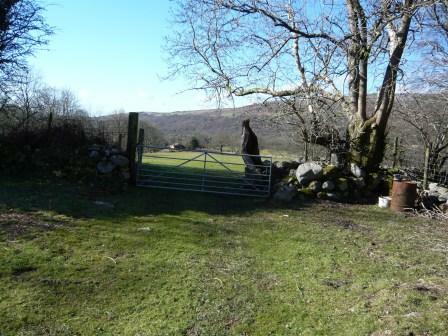 Our dog and family friendly Brecon Beacons holiday home in Wales is let on a weekly exclusive self-catering basis. 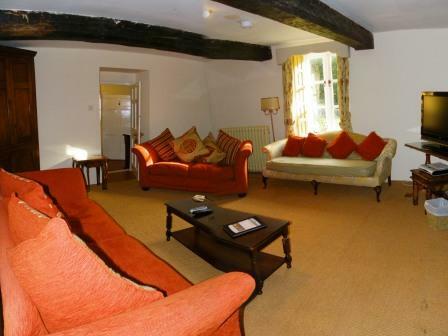 If you are looking for a Self Catering holiday in South Wales, Craig Y Nos Farmhouse is ideally situated in the Brecon Beacons National Park as a "dog friendly place to stay". 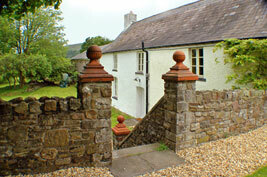 Our Brecon Beacons farmhouse is suitable for walkers, families and those looking for dog friendly accommodation. 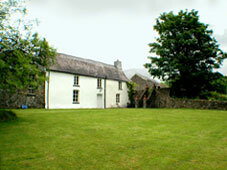 Craig y Nos Farm sits in 23 acres of its own fields and land. 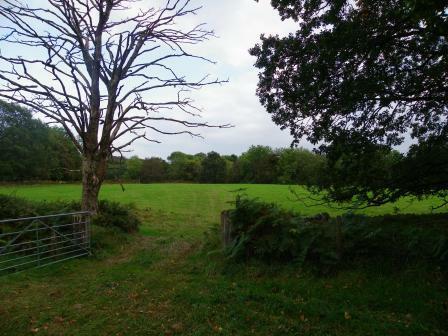 There are extensive views all around and no neighbours visible other than another farm to the north (top left) of the entrance drive. 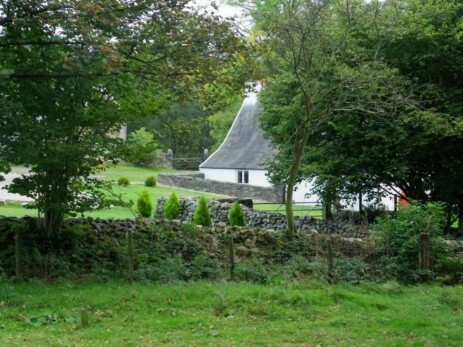 For large families looking for secluded holiday cottages in South Wales, the main impression you will get within the farmhouse is peace and quiet. 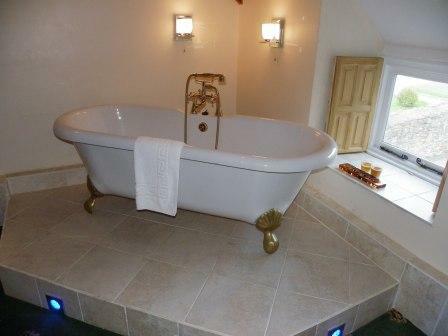 Our farmhouse offers all you could want in a Brecon Beacons holiday home, a real haven of peace and a beautiful, a scenic and relaxing rural retreat surrounded by its own gardens and fields. The large lounge's open plan fire place has been replaced with a wood burning stove. One load of free logs are provided and more logs can be found in the grounds. Lounge seats 8 comfortably on three sofas. 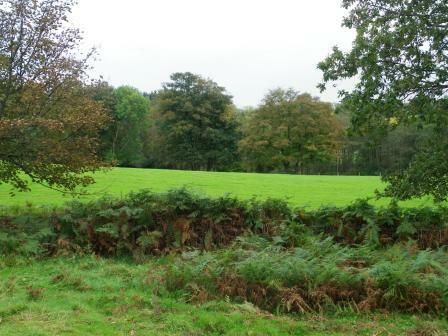 Most of the fields are free to walk around, though occasionally there are sheep in a couple of the larger fields. You can walk your dogs off the lead in the fenced in fields away from any livestock. 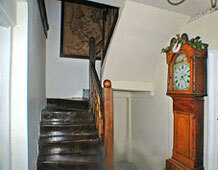 See local dog walks within farm grounds, and local dog walks such as Henrydd Waterfalls. See a whole itinerary of what to do in the South Wales area during a longer stay. Or choose an empty field or two to walk around. At the top of the steep field there is a private waterfall, from which a stream runs down one side of the farm's land (see stream). See what to do locally when staying at the farm. See our main farm website and see availability in 2019 here. 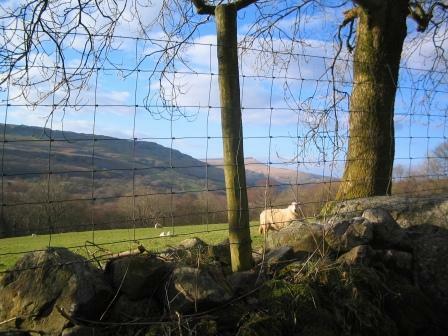 Our Brecon Beacons Self-catering availability is quite limited in summer due to advance bookings (so early booking for summer is advised) but we still have good availability in winter months.